What makes the icount card one of the best prepaid cards on the market? icount > Blog > Prepaid Card > What makes icount one of the best prepaid cards on the market? 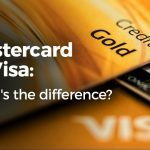 With so many options available, it can be tricky to choose what prepaid card is the best for you. If you’re searching for an alternative to a high street bank account which gives you all the convenience of a current account but without the need for a credit check, then look no further than the icount prepaid card. 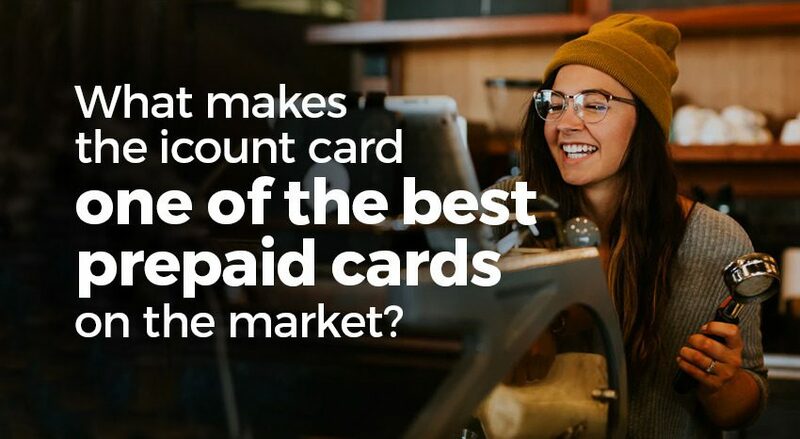 This guide will help you discover the unique advantages of applying for an icount prepaid Mastercard® plus the additional services you’ll have access to. The icount Cashplus mobile app can help you stay on top of your balance and latest transactions, anywhere and at any time. With automatic fraud protection and management across multiple devices, you’ll be able to activate and block cards, keeping your money safe at all times. Find out more about the Cashplus mobile app here. The icount is one of the best prepaid cards in the UK because you can use the Creditbuilder™ which could improve your credit rating. 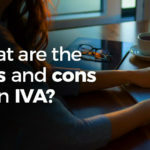 Credit ratings are a deciding factor in a number of products and services, from getting a mortgage to taking out a loan or any other form of credit. All you need to do is add the Creditbuilder™ to your account, make all of your payments on time each month, and improve your chances of obtaining credit in the future. Why should you add Creditbuilder™ to your current account? Find out here! As easy as topping up a pay as you go mobile phone, you can load money onto your card using six different ways. Check out your prepaid card fund loading options here. Your icount account number and sort code is available as soon as you apply, offering you all the flexibility of a high street bank account including setting up direct debits and standing orders, loading funds and directing any salary, wage and benefit payments to your brand new current account. Ready to apply? Click here to start the application process. It’s quick, easy and you’ll be up and running with your current account details instantly. With your icount prepaid card account, you’ll be able to receive SMS alerts straight to your mobile phone. If you can’t access the mobile app, the text alert service keeps you updated on your transactions. These alerts are a great way to easily check your last five transactions, to get your balance details and to check up on the status of standing orders and bill payments. Keeping your purchases safe is paramount to us which is why you’ll enjoy free purchase protection while using your icount prepaid card on purchases made online, over the phone or, in-store. Your icount prepaid card also protects you for the purchase of goods from a company which goes into receivership or administration before you have received them, faulty or damaged purchases, goods which don’t arrive and if your purchase does not match what you ordered. How does the purchase protection work? Find out here. You’ll have the ability to add up to four additional prepaid cardholders to your icount current account. Whether you’ll be giving the additional card to the kids, sharing money with friends or family or, separating your personal spending from your bills; the icount prepaid card and mobile app make managing your money even easier. Order your Euro and US Dollar prepaid cards at no extra cost with icount. Bid farewell to queuing up at high street money exchange bureaus as the prepaid Cashplus Euro and Dollar currency cards have no monthly fees, excellent exchange rates, no commission, and no Euro or US Dollar purchase transaction fees. Once you’ve set up an icount prepaid MasterCard ®, you can order your Euro and US Dollar card, find out more here. The i-draft facility is a flexible alternative to a standard bank account overdraft. I-draft has been designed especially for existing cardholders who may need a little bit of flexibility with their finances as the end of the month approaches. i-draft lets you access £250 with your icount card when you need it the most. To use i-draft costs just 75p per day. You will not be charged more than £10 per month. Find out more about the i-draft facility here. Being associated with APS means we are able to provide you with our Cashplus Business Account. A low-cost alternative to high street business bank accounts, there are no monthly fees and costs just £69 per year. With no charges for depositing cash or receiving bank transfers, you’ll also have three free outbound bank transfers each month. You won’t even need to pass a credit check in order to open this account, all you have to do is apply for your icount online, have your identification verified, and then you’ll be ready to enjoy this award-winning business account facility. 5 people our prepaid card and current account is great for and whyWe’ve answered your questions on where you can use a prepaid card from icount!